Beer Phone. Your original design with a bottle of beer. Eye alerts at home, go to confuse and I'llthrow it away. Phone with original design, designed to resemble a bottle of beer. Ideal, or at home,or in a pub would be great. In the bottom of your keyboard find the numerical disc-shaped, normal wired and speaker / microphone to one side of the bottle. 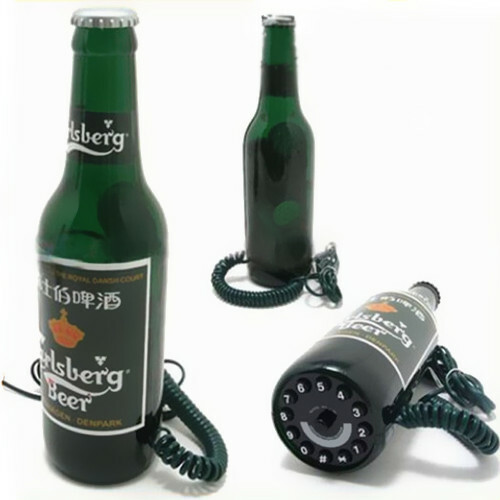 Beer Bottle Phone Measures: 6.3 x 22.5 x 6.3 cm.